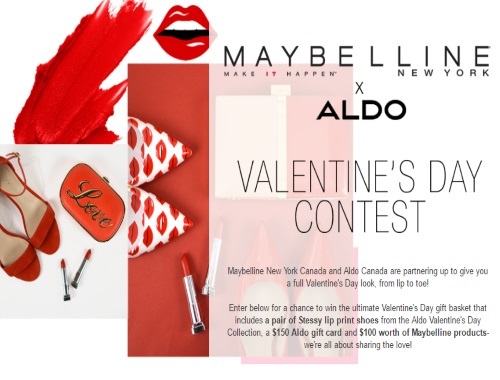 Maybelline New York Canada and Aldo Canada are partnering up to give you a full Valentine's Day look, from lip to toe! Enter below for a chance to win the ultimate Valentine's Day gift basket that includes a pair of Stessy lip print shoes from the Aldo Valentine's Day Collection, a $150 Aldo gift card and $100 worth of Maybelline products! Contest closes February 8, 2017.